Congratulations are in order for Samory Buford from Detroit Collegiate Preparatory High School at Northwestern. 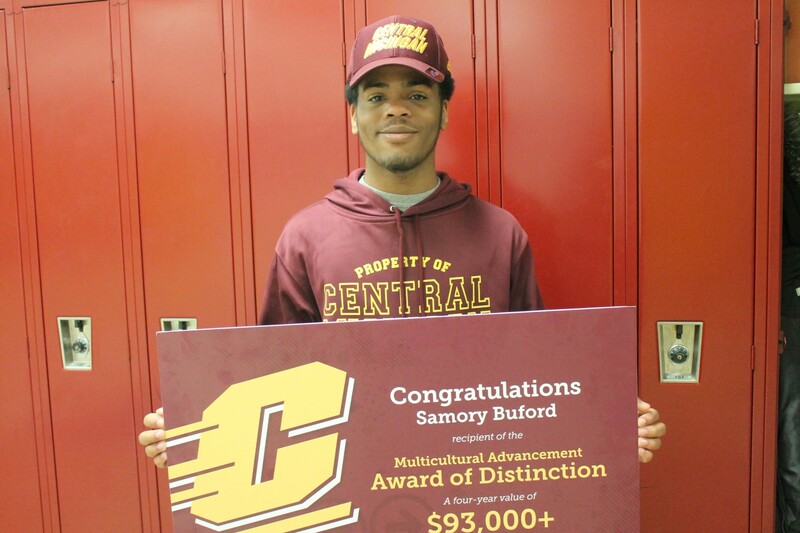 Recently, Samory earned a Multicultural Advancement Award of Distinction from Central Michigan University (CMU), which totals in more than $93,000 for tuition and board. The scholarship is awarded based on merit and completion of the scholarship requirements such as an essay and interview with the Multicultural Advancement Board at CMU’s Mount Pleasant campus. Samory is graduating DCP at Northwestern with an outstanding 4.1 GPA. 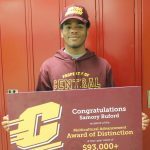 His interests are chess, robotics and assisting with anything engineering or math related, which makes sense as he is choosing to study computer engineering this fall at CMU! We are proud of Samory in his amazing accomplishment, and wish him well as he embarks on his next journey.